This volume explores the afterlives of Eve and Adam beyond the Genesis story. How did they become such a prominent part of mainstream Christian thought and theology—and Jewish and Muslim tradition as well—, and what forms did their story take as it was told and retold? To investigate the traces of Eve and Adam through the centuries is to discover a surprising variety of interpretations. The chapters of this book come from eleven European scholars. Bob Becking writes on how the identity of the primaeval couple is constructed in Genesis, Geert van Oyen on Eve as a character in the New Testament, Willemien Otten on Adam and Eve in Augustine, Harm Goris on them in Aquinas, Theo Bell on them in Luther. Willem van Asselt examines the Pre-Adamites in the theology of Isaac La Peyrère, Heleen Zorgdrager considers Adam and Eve in the theology of Schleiermacher, Susanne Hennecke focuses on Karl Barth and Luce Irigaray looking at Michelangelo’s The Creation, Anne-Marie Korte on the Genesis story in a feminist theological perspective, Eric Ottenheijm on Eve and ‘women’s commandments’ in orthodox Judaism, and Karel Steenbrink on Muslim interpretations of their story. Susanne Hennecke is Lecturer in Systematic Theology at Utrecht University and leader of a research project in Systematic Theology at the Rheinische Friedrich Wilhelms University in Bonn, Germany. 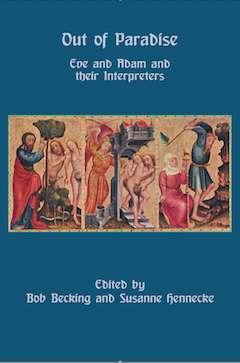 This volume is a helpful compilation of essays and ultimately will serve its purpose in showing a diversity of thought with regard to how Eve and Adam have been interpreted throughout the years. The diachronic analysis of some of the selected historical figures is especially helpful (i.e., looking at the evolution of thought in one’s earlier works vis-à-vis one’s later works). Robert C. Koshow in Review of Biblical Literature.